Looking to purchase a new Chevrolet Bolt EV or Volt? Now is the time – before the federal tax credit changes! 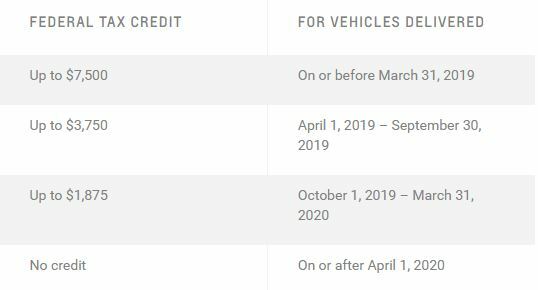 In order to be eligible for the full federal tax credit of $7,500*, the vehicle must be purchased and delivered by March 31. *Each person’s tax situation is unique. Consult your tax professional prior to claiming any tax-related credits. The Volt is a high-tech plugin hybird that offers efficiency, state-of-the-art technology and safety features. 53-mile battery range or up to 420 miles of range with a full tank of gas. Bolt EV is an all-electric car that offers 238 miles of range on a single charge under the right conditions. It features many technologically-advanced features, sharp exterior styling, an intuitive and ergonomic interior layout & more than enough room to get you and your family where you need to be.